BAR HARBOR, MAINE — Scientists at the MDI Biological Laboratory and the University of Maine have discovered that genetic material in the cell that was previously thought to be “junk” because of its apparent lack of function likely plays a part in regulating genetic circuits responsible for regeneration in highly regenerative animals. Viravuth P. Yin, Ph.D., of the MDI Biological Laboratory and Benjamin L. King, Ph.D., of the University of Maine identified these “long noncoding RNAs” by studying genomic data from highly regenerative animals included in a RegenDbase (Comparative Models of Regeneration Database) developed by the MDI Biological Laboratory. 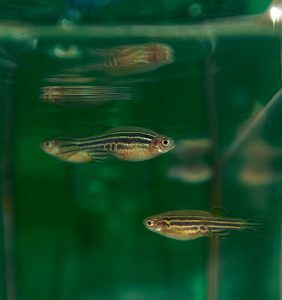 The discovery of these novel long noncoding RNAs and their role in regulating regeneration may lead to an answer to the paramount question that is being examined by scientists at the MDI Biological Laboratory: If highly regenerative animals such as zebrafish and salamanders can regenerate tissues and organs, why we can’t we? Like most other mammals, the capacity for regeneration in adult humans is limited. RNA, or ribonucleic acid, typically acts as a messenger that transports instructions from the DNA, the carrier of genetic information, to the machinery in the cell that manufactures proteins involved in biological functions.